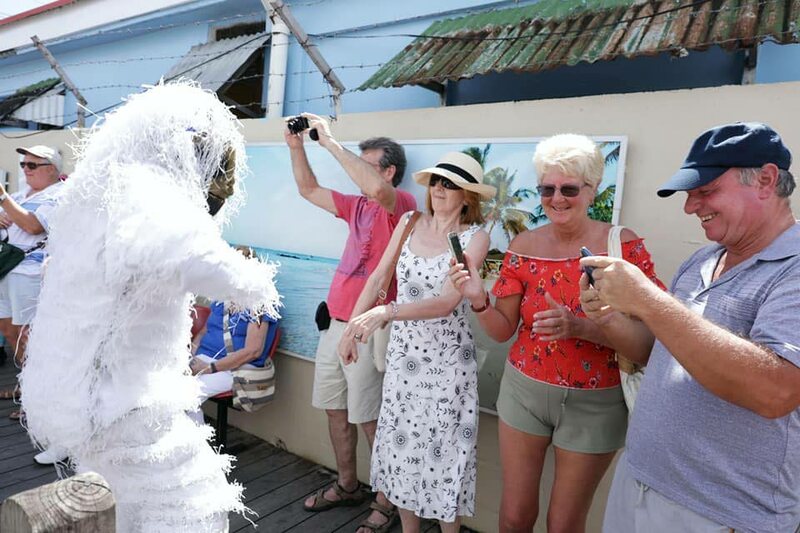 Tourists from the cruise ship, MV Ventura, meet up with a gorilla in the street procession for the launch of Tobago Carnival 2019 in Scarborough on Monday. 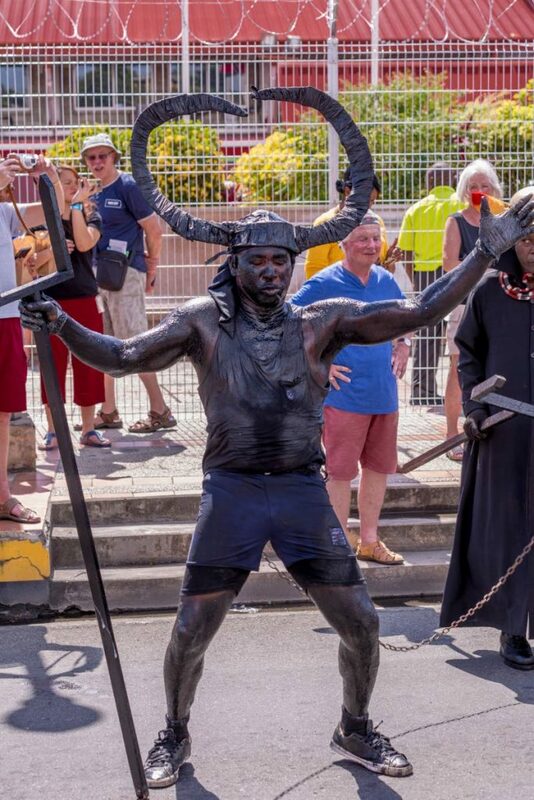 A devil participates in the street procession for the launch of Tobago Carnival 2019 in Scarborough on Monday. Traditional mas characters - Dame Lorraines, black and blue devils, sailors, midnight robbers, and speechband players – joined participants in the upcoming Interdepartment Personality and Calypso competition on February 21, in the procession which ended at the Festivals Commission office, at GNV Place, opposite Market Square, for official proceedings. 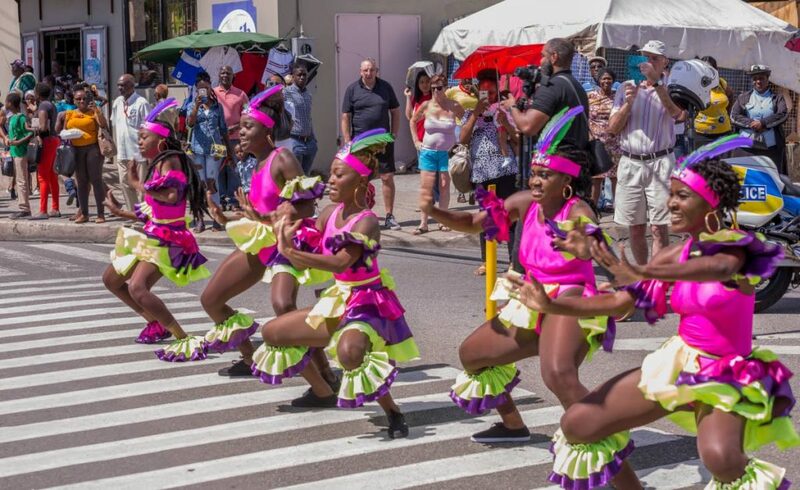 Dancers perform in the street procession for the launch of Tobago Carnival 2019 in Scarborough on Monday. Tourism Secretary Nadine Stewart Phillips described the spectacle of the launch as a sign of what was to come for the Carnival celebrations. She said the launch was planned to coincide with the visit of the cruise ship so the visitors would experience the local culture firsthand. Reply to "Cruise ship visitors get a taste of Tobago Carnival"